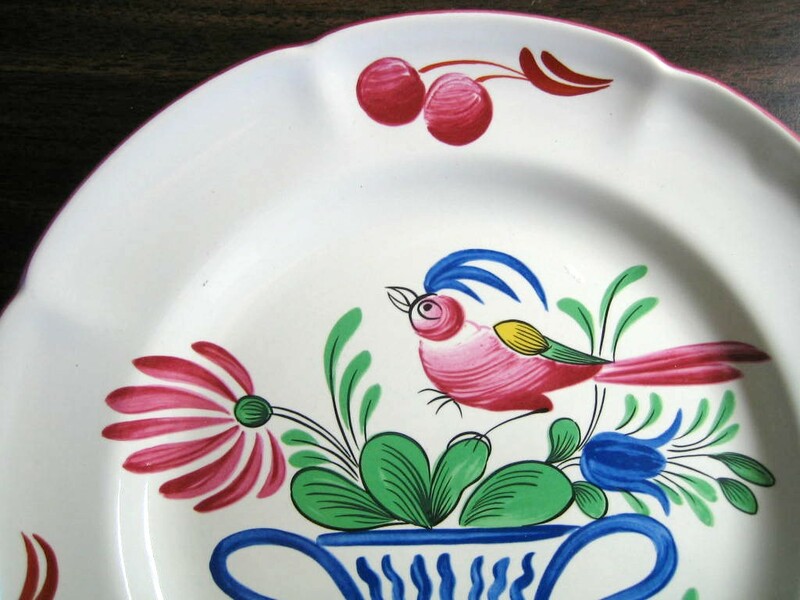 Click the button below to add the French Folk Art Pink Bird Blue Basket Cherries Edge Plate to your wish list. 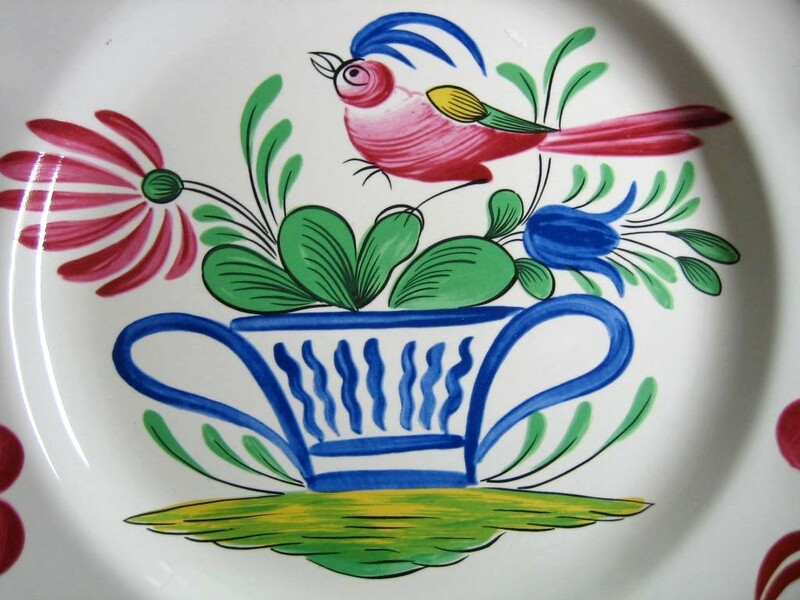 Darling cheerful French folk art decorative plate (says not for eating). Pretty bold pink green and blue on off white plate with pink edge trim.